Tech Bytes are short, sponsored conversations on the latest technologies and products. Today’s episode is sponsored by Silver Peak, and we talk to their customer swyMed. SwyMed makes telemedicine software, hardware, and solutions for the healthcare industry. 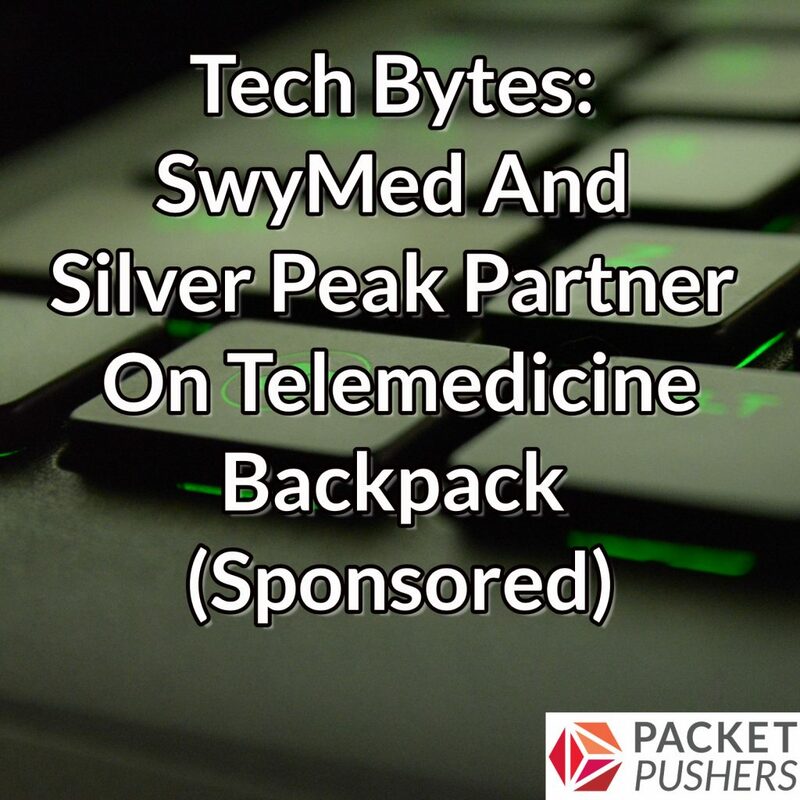 On today’s episode we talk about swyMed’s DOT Telemedicine Backpack. Designed for first responders and for use in remote locations such as oil refineries and factories, the backpack enables high-quality audio and video between responders on site and doctors and nurses at hospitals or clinics. This telemedicine solution allows doctors and nurses to weigh in on treatment and make diagnoses without being on site. The product uses a small Silver Peak SD-WAN appliance to bond multiple LTE links to ensure persistent and high-quality connectivity. Jeff Urdan, Chief Operating Officer of swyMed, talks with the Packet Pushers about how the backpack works, the role the Silver Peak appliance plays in enabling connectivity, and shares stories of how the technology is used to help save lives.